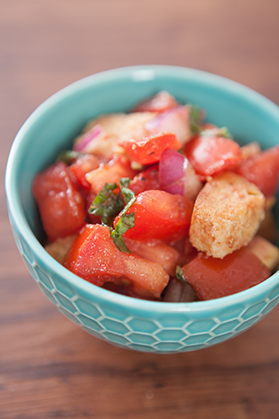 Combine the tomatoes, onion, basil, salt, black pepper, vinegar and oil in a bowl. Stir croutons in the salad and serve. Photo and recipe adapted from Nutrition Matters.